1) What does Livermore mean when he says that “God’s language is Jesus” (p.33)? 2) Livermore states, “There is no one right way for the gospel to be expressed” (p. 34). Do you agree or disagree? Explain your position. Read the article, “The Global Canvas: How Your Story Fits into the Big Picture.” Taylor and Hoke discuss “macro” issues relating to humanity as a whole, as well as those affecting the global Christian community. These macro issues are discussed in terms of triads with each issue comprised of three relevant parts. Rate each triad from 1 (low) to 5 (high) in terms of how it might impact you as a cross-cultural servant in your present vocation. In the Discussion Board Forum titled “Global Trends,” list and discuss two triads that have the greatest implications for you as a cross-cultural servant. Why are these more significant and relevant than others? Write your response in about 250 words. The Triads that I selected to write about is the macro” issues are War and injustice in regards to humanity as a whole, including those changing the global Christian community. Secondly, I chose technology from a global perspective. Into what kind of ministry have you been called or are you being led? Describe your feelings when you realize that frustration, confusion, tension, and embarrassment will be inevitable in another culture. Why do you feel this way? Before entering the new culture, what can you do to increase openness, acceptance, and trust? What can you do to reduce fear, suspicion, and inflexibility? How do you typically cope with difficult situations? By reflecting on those, what do you learn about yourself? What might you do to change how you handle difficult situations as you think about a cross-cultural experience? Select a cross-cultural partner (CCP) with whom you will interact throughout the semester to gain insight into his/her culture and sharpen your skills as a cross-cultural servant. Your CCP, obviously, should be someone from a culture with which you are not familiar. For the purpose of this assignment, culture is defined in terms of national or ethnic culture (for example, Chinese, Hispanic, Nepali, Iranian, Nigerian, et cetera). You will meet a total of six times with your CCP during the semester. You will be required to submit a journal report of the meetings. (See attached format for CCP Logs. Due dates for log submissions will be assigned throughout the semester.) It is important to meet with your CCP in person, so you can experience nonverbal components of culture that are only observable in a “face-to-face” setting. You may communicate by other means throughout the semester, but at least six of your meetings must occur face-to-face. Your meetings will typically involve doing an activity together or having a conversation centered around an assigned topic. Important: Inform your CCP from the beginning that you are taking a class on cross-cultural living, and you are meeting with him or her because you would like to learn about his or her culture and improve your skills in cross-cultural communication. Everybody has a story, and each person’s story reveals the values, beliefs, and experiences that shape him or her. This week, invite your CCP to share his/her story. It may be helpful to briefly share your own story first to create an atmosphere of openness. Where did your CCP grow up? What was his/her childhood like? Does your CCP come from a small or large family (both nuclear and extended)? What role does each member of the family play? What special status or recognition does each member of the family receive? What values were instilled in your CCP by his/her family and society? What does your CCP do for a living? What does he/she hope to be doing in the near and distant future? Write a summary of your CCP’s responses to the questions and reflect on your meeting using the given guidelines in the document, “CCP Log Format.” Complete this assignment and submit it by clicking on the link above (“Cross-Cultural Lab 1”). Refer to Ch. 1 to review the three major sociological perspectives. Use all three perspectives (functionalism, conflict and interactionism) to analyze one of the following issues: fraternities and sororities, social networking sites, or employer/employee relations. Give a brief introduction that identifies the issue you have chosen and why. Describe in three separate paragraphs how each perspective would view or explain the issue. Include elements of culture and how humans learn, develop, and become integrated into society. Provide a conclusion that discusses which perspective you think is most applicable to the issue or how the three perspectives complement one another in understanding the issue. Format your assignment according to appropriate course level APA guidelines. Submit your assignment to the Assignment Files tab. What is the impact of African American Women’s Incarceration on their family? The research proposal is the capstone of this course and will serve as the ultimate demonstration of your knowledge in preparing for research and selecting a method. The proposal should demonstrate sound sociological reasoning by connecting your research to larger societal issues and/or policy improvements. Guidelines: Papers should be 10-15 typewritten pages in length, with no more than 1 inch margins on all sides. Papers should be typed in 12 pt. Times New Roman or similar font (Garamond, Calibri, etc). All papers should include at least 10 scholarly books and/or articles and all citations and references should be formatted according to the American Sociological Association Guidelines. Points will be deducted for arguments and sources that are not properly cited or cited at all. Contents: Papers will consist of sections that are identical to scholarly research articles. Therefore, each paper should include an introduction, a literature review, a methodology section, a results section, a discussion section, and end with a conclusion. Each of these sections, except the introduction, should be clearly marked with bolded or underlined headings. 1. Introduction – Introductions should begin with you identifying your topic of interest and presenting your specific, updated research question. It is important that your research questions are properly constructed and that they demonstrate the improvements suggested in research assignment #4. DO NOT include flowcharts or any of the technical construction terms in the introduction (α or β). Simply state your updated and correctly constructed research question. Why study this problem sociologically? How widespread is it? What social forces are shaping, causing, or changing it? Introductions that do not demonstrate the use of sociological reasoning will not receive favorable grades. Here you are being asked to demonstrate above average knowledge and use of the sociological perspective. Arguments should be clear and concise and should avoid abstract and/or passive language (“society knows” or “it is said” or “everybody knows”). Finally, if your work is deductive, present hypotheses about your outcomes. If your work is inductive, present your guiding questions and reflect on what you expect to find. 2. Literature Review – This section should include a thematic summary of the scholarly books and articles you found for RA #5, a discussion of limitations, as well as your remedy for the limitations. a. Thematic Summary – Using the 10 scholarly books and/or articles in RA #5, provide a summary of the themes that you found in these articles. What do previous researchers know about your dependent variable? Which factors (or independent variables) do they say impact it? You are to summarize, compare, and contrast the themes that appear in these findings. Do all your sources report the same findings? If not, how do their findings differ? Do they report different aspects of the same concept? Remember that the goal of this phase of the literature review is synthesis. What does this broad body of work say about your dependent variable? Use the literature reviews in the articles and books you found as a template. b. Discussion of Limitations – After you summarize the themes of the articles/books, present at least 2 critiques of this body of research. One critique must be substantive. Substantive critiques call into question WHO and/or WHAT is studied. It will be helpful to think back to Sprague’s critiques of what and how we study. Is there something else that these researchers should have considered? Are there other factors/variables that they did not account for? Was the research conducted on teens when it should have looked at adults? Was the research conducted on rural children rather than urban children? Has this question only examined the outcomes for white women rather than women of color? Be specific and analytical in your critique. How do these limitations sociologically and systematically bias the findings presented in these studies? Your other critique should be a methodological critique. This critique calls into question HOW their topics were studied. Do the previous researchers conduct quantitative work when a more rich and in-depth qualitative analysis was necessary? Why would that be necessary? What would we specifically get from a qualitative analysis of this topic that we do not get from a quantitative analysis? Do they issue individual surveys when a focus group design would have been a better fit for their research questions? In what way would the information be different? Are they studying one case when a cross-sectional design would have been more useful? Are there certain aspects of your dependent variable that they did not account for? Are there alternative explanations that they did not go into? This section is essentially where you identify the “gaps in the literature”. In this section, it is very important that you provide detailed, well-argued examples for the limitations that you identify. Please do not just provide a list of things that you think are wrong. Be cautious and thoughtful in how you critique because YOUR study must be able to remedy these limitations. NOTE: Is very important that your discussion of limitations shows the use of sociological reasoning. Remember that as social scientists, we are concerned with empiricism rather than value judgments. Therefore, your discussion of limitations is not for you to rant about what is “bad” or “wrong” about the article nor is it for you to evaluate how much the literature matches with your experience or opinion. Rather you are evaluating how well other scientists have empirically investigated your topic. c. Remedy of Limitations – Given the specific limitations that you discussed above, present a remedy for these limitations. In other words, how does your study substantively and methodologically “make up” for the shortcomings of previous research? Do you include the groups that you argue previous research excluded? Why is it necessary to include these groups? How would they sociologically and systematically differ from the groups that have already been studied? Do you ask the questions that they didn’t ask? Do you employ the study designs and strategies that you claim they should have? Be very specific about how you will improve our understanding of this topic. Explain how your study fills these gaps. 3. Methodology – this section is the most important section of your paper and if it is not done successfully, you will not earn a favorable grade on the proposal. It is in this section that you demonstrate your knowledge of sampling and research design selection. This section should not be approached haphazardly. Your sampling strategies and specific research methods must emanate from your research question, the remedies that you identify in your literature review, as well as the ontological and epistemological orientations that you have developed over the course of the semester. An ontological constructionist would not conduct experiments. A positivist would not be interested in the subjectivity inherent in semi-structured interviews. You must demonstrate thorough knowledge of all of the various levels of decision-making that go into designing a research study. a. Sampling – Identify your population of interest. Then using everything you know about sampling, describe how you will recruit participants for your study. Is your work quantitative or qualitative? As a result, which type of sampling will you employ, probability or non-probability? Next identify the specific type of sampling you will use. Simple random? Snowball? Multi-stage cluster? How will you go about getting a sampling frame? What is your target sample size? Why that size? How will you select the people/entities who will participate? How will potential participants be notified of your study and indicate that they will participate? Will you use fliers, cold calling, students in a sociology class? Additionally, discuss the ways that your sample may be biased. As with the literature review, please use the methodology section of scholarly books and articles as a template. b. Method – Now that you have described your sampling and recruitment strategy, identify the method that you will use to collect data from your participants. Your decision must derive from your research question and selection of quantitative or qualitative work. Justify why this method would be better than other similar methods in obtaining the information needed to answer your research question. So if you have selected a qualitative method, why is your selection better than other qualitative methods? If you have selected a quantitative method, why is this selection better than other quantitative methods? Explain how this particular method will go about improving our understanding of this topic. For example, why are you using a focus group rather than one-on-interviews? Why pass out a questionnaire rather than engage in structured observation? c. Procedure/Materials – Describe in detail how you will go about implementing the method you identified above. What will participants actually have to DO in your study? Will data collection and interaction with participants be in public places or private homes? How will you decide? Additionally, what equipment or materials are necessary for your study? Will you be audiorecording? Will you be observing various elements and checking them off of a list? Attach a correctly constructed copy of all lists, surveys, questionnaires, etc. to the proposal. 4. Conclusion – Complete your proposal by reminding us of your research question and its sociological importance. Also briefly recap how your study fills in the gaps left by other researchers as well your hypothesis or expectations for the study. Next, talk about the limitations of your study and suggest future directions for research in this area. On a 5-point scale, where 5 is “extremely important” and 1 is “not at all important,” rate the following types of group competencies in terms of their importance for becoming a highly effective group member. Circle (or highlight) one number for each item. When you are finished, write a 350- to 525-word summary of your results and ways to improve your competency. 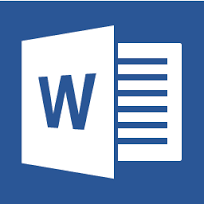 You may write your summary at the bottom of this document, or in another Word document. Understand the group communication process. Reduce your nervousness when speaking in a discussion or meeting. Understand, respect, and adapt to diverse group members. Carry out critical task roles, by asking questions and summarizing ideas, and social roles, by encouraging and supporting members. Influence group members to change their attitudes and behavior. Use and interpret nonverbal communication effectively. Listen appropriately and effectively to other members. Intervene appropriately to resolve member and group problems. Develop effective interpersonal relationships with group members. Develop and follow a well-organized meeting agenda. Actively contribute to group discussions. Use gestures, body language, and eye contact effectively. Research and share important ideas and information with group members. Use visual aids and presentation software effectively. Use appropriate procedures for group decision making and problem solving. Ask questions to clarify ideas and get needed information. Use assertiveness strategies and skills confidently and effectively. Respect and adapt to group norms, or standards of behavior. Prepare and deliver effective presentations or oral reports. Use appropriate and effective words in a group discussion. Use parliamentary procedures effectively and fairly in meetings. Use effective technologies and skills to communicate in virtual groups. Develop and present valid arguments and opinions in a group discussion. Provide appropriate emotional support to group members. What conflict styles have you encountered while working in groups? How will your approach to conflict change in the future based on what you have learned in this course? What group cohesion strategies will you apply in future team work? Describe these strategies and how they strengthen group work. What is your own decision-making style? Describe this style and how you will apply it to future group work. How will you approach problem solving in the future based on what you have learned in this course? Describe your strategies and how you will apply them to future group work.